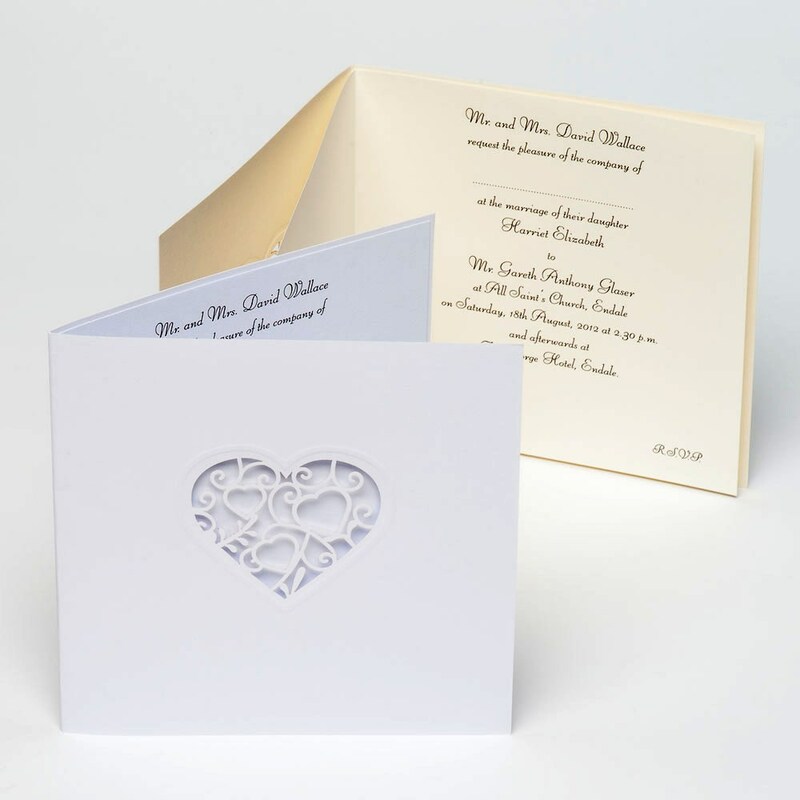 Matching invitation cards to complement our Lace Hearts wedding stationery theme. White card with stencil die-cut lace heart. Pack includes 10 folded cards, 10 matching envelopes, 12 blank inserts (two are spares), instruction sheet and web address for template access. On purchase, a package of Word document templates that give a variety of layout styles will be emailed to you. Just change the fonts to your choice and personalise with your own wedding details.